The smartest shopping I did this autumn was two lined A-line skirts form Zara, the same skirt but in different colours. I've been wearing them all the time. I found some coasters in Stockholm, matching the patterns and colours of our living room. Since the renovation and move I have paid surprisingly many visits to Etola, where I haven't set my foot since mom was there bying plastic baskets, jars and such in the eighties. They are still all about plastic baskets and practical things for home, but they also have a lot of surprising and cute items nowadays! 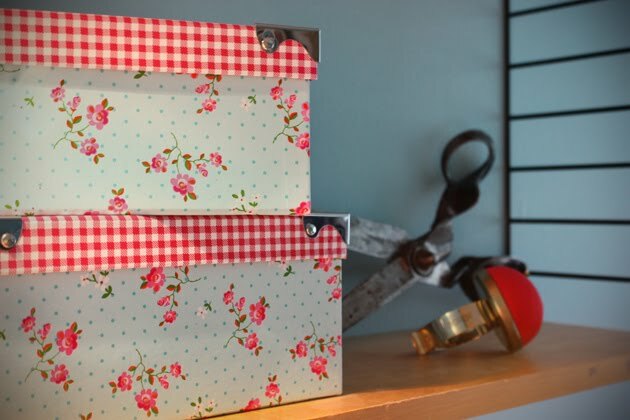 I got these small boxes for my sewing parnaphelia. Zara have had great skirts this season, better than any other store on the high street. 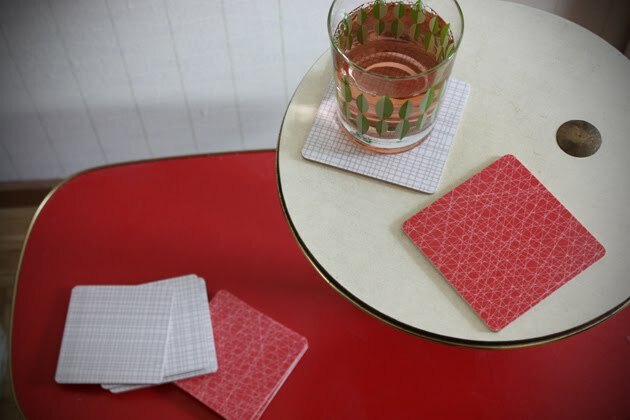 That a-line skirt looks lovely and those coasters are great. Totally going to Zara this weekend! Thanks for the tip! vilket fint foto! är det Eddi eller nån annan karl? och jag grämer mig för att jag missade er på burleskfestivalen i Stockholm... come back soon will ya? Lovely skirt ! i must find one like that for the winter ! Ohh!! I wish we had Zara here! Those skirts look amazing! And those little store boxes are just too cute! I bought this skirt on friday!!! The grey coasters are too cute. The would perfectly match with our kitchen table. Where did you get them in Stockholm? I love the boxes, great! That's funny and strange: I live in belgium and have exactly the same flowered boxes! And I also use them for sewingstuff! Karin : jo, det är jag och Eddi :) Om inte annat, kom över hit i februari, här vankas det finfin burleskfestival igen! Bunny : it's a great skirt isn't it? Dotti : they are form Designtorget! jag håller utkik efter mer info här framöver. Fully excitement blog. Full potential is truly inspirational. Nice post.